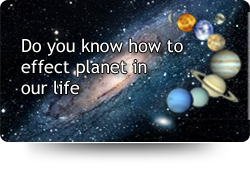 Prashna Shastra (Horary Astrology) is an important facet in Astrology. Prashna Shastra is more predominantly adopted for analyzing and giving prediction to a particular event of life or activity. One should venture into this branch of astrology only after thoroughly understanding all facts of astrological dictums. Otherwise one cannot succeed in this branch which requires an absolute professional analysis. Then the accuracy of prediction given by the astrologer of course varies not only with the expertise of each astrologer but also with the character of the astrologer. Expert in Jyothish Shastra, proficient in Mathematics and lead a religious life. Always tell the truth and well versed in Vedas / Mantras/ Tantras. Have certain amount of Philosophical and Mythological knowledge for giving predictions with correct interpretation. All predictions made by such a person will never be false, whether it is auspicious or inauspicious.